Never Used. Red Hydrangea Bush ( Quantity: 8) $10.50 each bush. 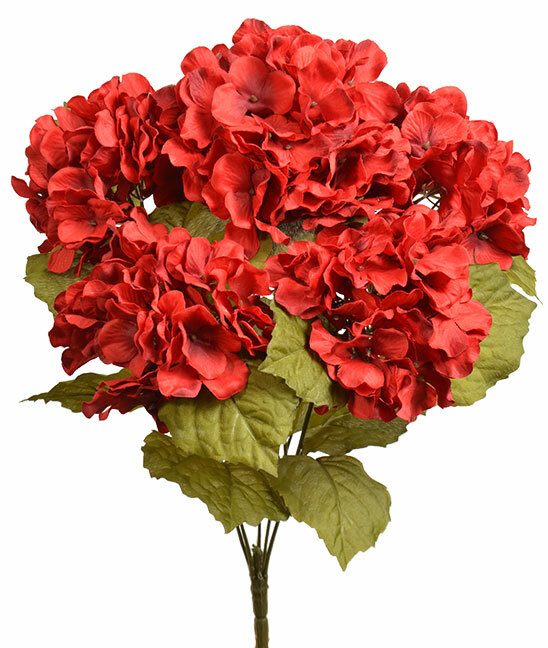 Super Soft Silk Artificial Hydrangea Bush 5 Big Heads 17 inches; Overall Length. 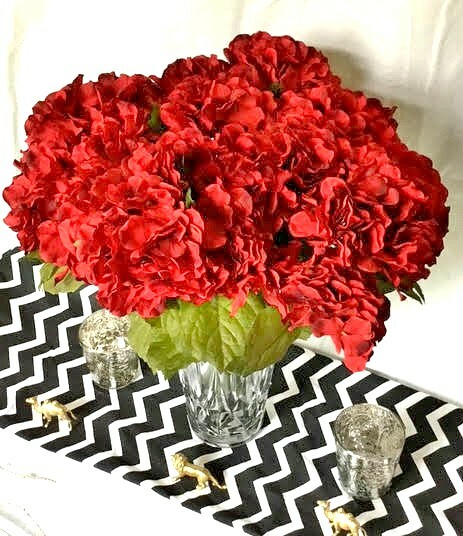 Great for Home Arrangements, Wedding Centerpieces, Parties, and Christmas Decor!